Making a gift of coffee during the Holiday Season has a flavor far beyond the brew itself. Coffee, like food, is the gift of a sensory experience. In many ways, it is a gift of time also, for it invites a pause in the day to savor both the sip and the moment. Like most people, perhaps you like to have all your Holiday gifts wrapped and ready ahead of time, especially those you need to send by mail. If coffee is on your shopping list, rest assured, there are simple guidelines you can follow to ensure freshness as your package journeys to your beloved giftee. Fresh-roasted beans. Fresh-roasted beans. Fresh-roasted beans. Supermarket coffee just does not cut it. Coffees that sit on store shelves and in storage rooms for weeks are already going stale by the time they make it to the checkout line. If you purchase your coffee at a store, you’re better off shopping at a small, local store that will have a smaller inventory and frequent product turn-around. 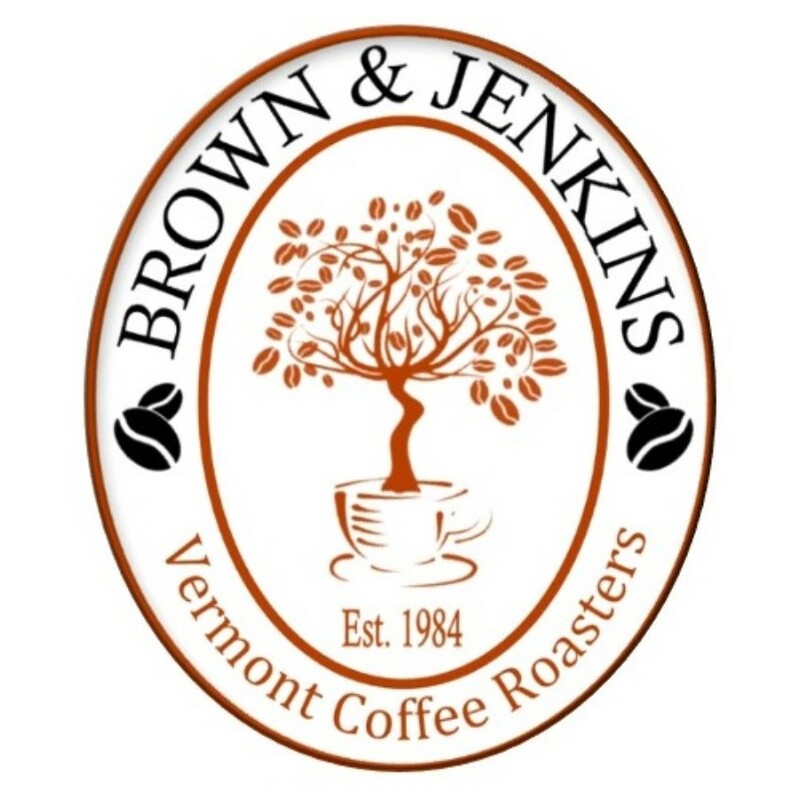 If Brown & Jenkins is your preferred brew and you live near Jeffersonville, the Vermont Maple Outlet is the place to go. Likewise, purchase coffee from a company that is known for its small-batch, roasted-to-order coffee. Ideally, your coffee should be roasted the same day it is shipped to you or delivered to a local store. Purchase whole bean coffee and do not pre-grind it. Grinding coffee releases some of the compounds and oils that contribute to the fullness of its flavor. Avoid buying weeks ahead. Coffee should be last on your list as you make your rounds to gather gifts. Of course, waiting may not be ideal if ordering online. In this case, you may need to store the beans for several days or send your gift earlier. An early gift can be an uplifting surprise as the Holiday Season can be both a joyous and stressful time. One of the best alternatives when offering coffee as a gift is to find a small, freshness-dedicated coffee roaster that offers Coffee Gift Cards or Certificates. Some have a print option, allowing you to print out and send the gift card along with other gifts exactly on your desired schedule. We like to combine coffee gift cards with a mug, a gourmet chocolate box or a new book. If you plan on spending time with people you believe would enjoy a gift of coffee this Holiday Season, send a Coffee Gift Card ahead of time, for a personal touch, and bring a bag of fresh roasted coffee as a hostess gift when you meet. Double pleasure! To store coffee you need to set aside for a while before gifting (as this is sometime inevitable), leave it in its original bag and store in a dark, cool cupboard. Do not refrigerate it as moving it from this environment to ambient air can promote moisture that will compromise freshness and flavor and may even lead to mold depending on how long the bag travels. If you plan on wrapping your gift of coffee, we recommend placing it in a box and wrapping the box, not the coffee bag. This will minimize the risk of ripping or puncturing the bag when unwrapping. A specially selected coffee from an artisan roaster lends itself to a minimalist approach. For example, attach a charm to the bag (without making a hole) or secure it to a larger gift with a colorful bow. There is something utterly heartwarming about that natural look. Most of all, coffee is the perfect inspiration for your Holiday wishes. Use blank cards this year and allow thoughts of savored moments and warmth shape a personal message for each person, whether your gift to them is coffee or something else. Happy Holidays. We raise our cup to you!